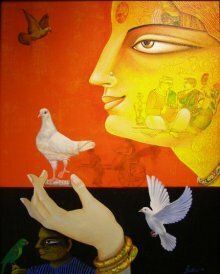 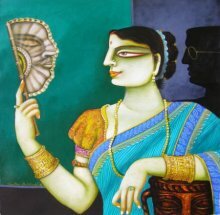 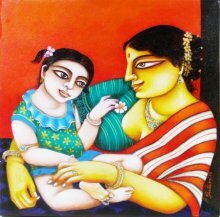 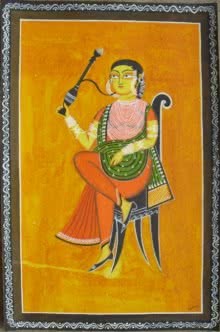 Kalighat paintings have their origins in the Kalighat region of West Bengal, India. 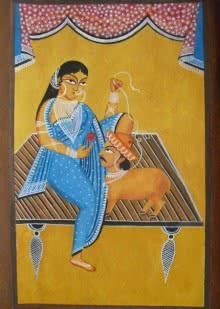 The paintings are mostly done on cloth, paper or canvas with squirrel hair brushes and color pigments. 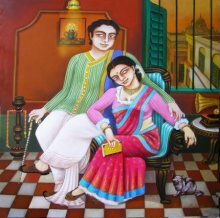 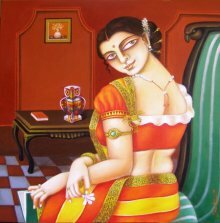 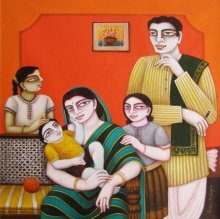 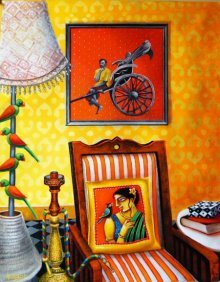 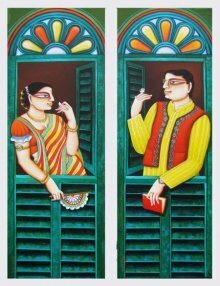 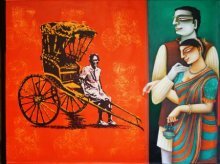 Earlier mythological stories were the main theme of Kalighat paintings but in modern times, Kalighat artists have started exploring diverse subjects including depictions of daily life and topics on social reforms.